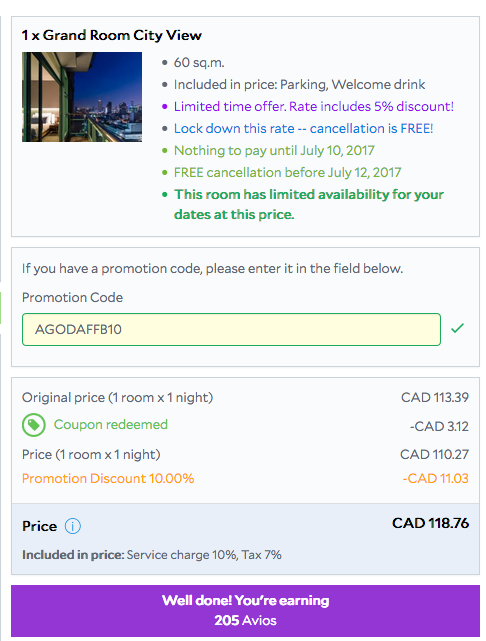 Rewards Canada (well our global site FFB which really are one and the same) has teamed up with Agoda, the owned by Priceline hotel booking site, to provide our readers with an exclusive discount for booking hotels via their site! The offer of 10% is good for bookings made until the end of this year. Please note this discount will not work on PointsMAX bonus offer bookings. You can only earn your regular rate of miles with any of Agoda's airline or other loyalty program partners.